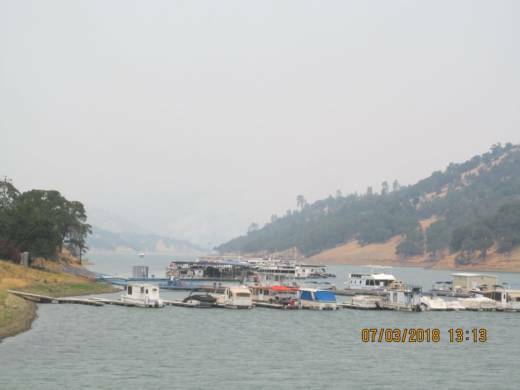 Vacation businesses around Lake Berryessa were gearing up for what should have been a lucrative Fourth of July when the County Fire rapidly tore through more than 72,000 acres on the lake's eastern rim. Some owners had hoped the middle-of-the-week holiday would lead to an extended bump in revenue. Now they're facing possible evacuations. "We were going to have a pretty full week of campers and cabin rentals," says Terry Sparkman, general manager of Pleasure Cover Resort and Marina. "But when the sheriff came through this morning with the advisory evacuation, most people took it to heart and they packed their stuff and left." 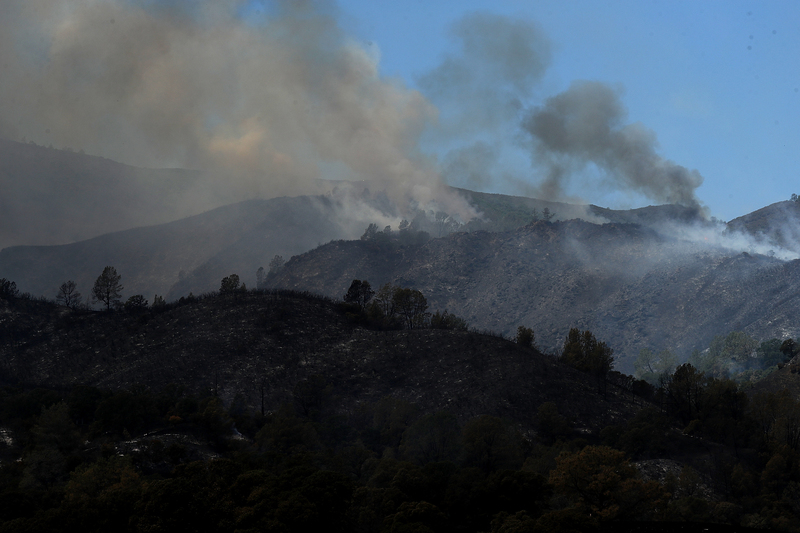 Sparkman and others are reminded of last year’s Winters, Atlas and Tubbs fires, which prompted mandatory evacuations in the area throughout the summer and fall. This continuous threat, they say, is taking its toll on local revenue. Sparkman says he can traditionally expect to have approximately 75-80% of their campgrounds and cabins rented out ahead of Independence Day. Now he's proceeding with caution, declining to book any new rentals and rescheduling existing camping or boating rentals. The risk is that a change in conditions could have companies scrambling to recall boaters off the water. But these same weather conditions and the fact that the evacuation is not mandatory is leading another lake business to continue with its holiday bookings. Berryessa Water Sports sales associate DJ Barnett says it's business as usual, as they prep their fleet for the holiday onslaught. Barnett says the weather is working in his favor, with slightly cooler temperatures expected tomorrow. And the wind has been blowing the morning smoke away from the lake. Off the water, one of the only sit-down restaurants has been shut down for several days. Cucina Italiana owner Stefano Gusberti says there haven't been very many people around. Independence Day, he adds, is traditionally a bad time for businesses such as his. Gusberti recalls last year’s Napa fires with concern about the future. He says he was forced to evacuate for a week and lost more than $15,000 when two of his refrigerators broke down in the heat. His voice is strained as he describes his worry that he might face the same insurmountable challenges this year. In nearby Napa Valley, however, the mood is optimistic. Angela Jackson, director of media relations for Visit Napa Valley, says that she is monitoring the situation and sharing information with their partners, but that little has changed. Several cities will continue with their holiday festivities, including a series of fireworks displays. No one expressed concern that tourism will be affected negatively in the long term. The silver lining after years of experiencing these fires, Sparkman says, seems to be that people are always willing to return.